Tomorrow Wikipedia celebrates its 15th birthday, and to mark the occasion the Wikimedia Foundation has revealed the most-edited pages on the world’s favorite encyclopedia. Former US president George W. Bush tops the list with a total of 45,862 edits as of the time the list was compiled this week. 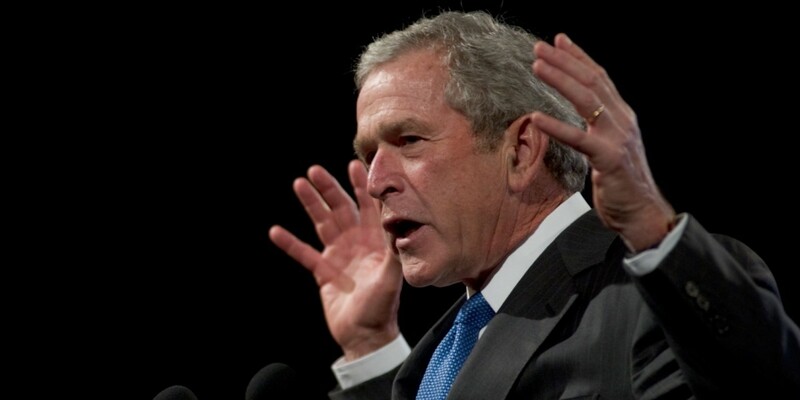 ‘Peak Bush’ was in 2004 and 2005, when his page topped the ‘most-edited’ lists for those years. That period coincides with the Iraq War, and indeed much of the back and forth on the edit history for that page is arguments about what details of the conflict should and shouldn’t be included on Bush’s page. A selection of the edits to George W. Bush’s Wikipedia page in 2004. The second most-edited page is the List of WWE personnel, proving that while wrestling may not be ‘real’ it’s certainly something people get passionate about. More passionate, it seems than the other pages in the top 15, which includes the United States, Michael Jackson and Adolf Hitler. Wikipedia itself is at number four. To give you an idea of how much Wikipedia has grown in the past 15 years, the most-edited page in 2001 was Creationism with just 149 edits. Compare that to 2015’s most-edited page, Deaths in 2015, which inspired 18,271 revisions by users. In total, as of this week, a total of 5,053,647 articles had been edited 808,187,367 times on the English language version of Wikipedia. Despite a decline in the number of active editors and problems with censorship, revenge editing and bribery over the years, Wikipedia shows no sign of becoming less of a key source of knowledge to the world. Here’s the top 15 most-edited pages of all time, only counting the English language version of Wikipedia.